The Puth-watchers on staff were not surprised by the win. I Some of us have been checking his YouTube channel obsessively regularly for months and concluded it’s only a matter of time until he opens a show for. . . no, not Adele. For Weird Al! Perez readers may be shocked to see that while Puth can certainly sing a lovely sad duet, his real claim to fame are his comic music videos—many shot right down the street from 150 Mass. Ave. In this installment of the Earth Stringband’s epic musical trip with the U.S. State Dept./Jazz at Lincoln Center’s Rhythm Road project, the band. . .
Just a couple good ol' bluegrass boys in Thailand. Teaches Thai schoolchildren how to play an American classic. 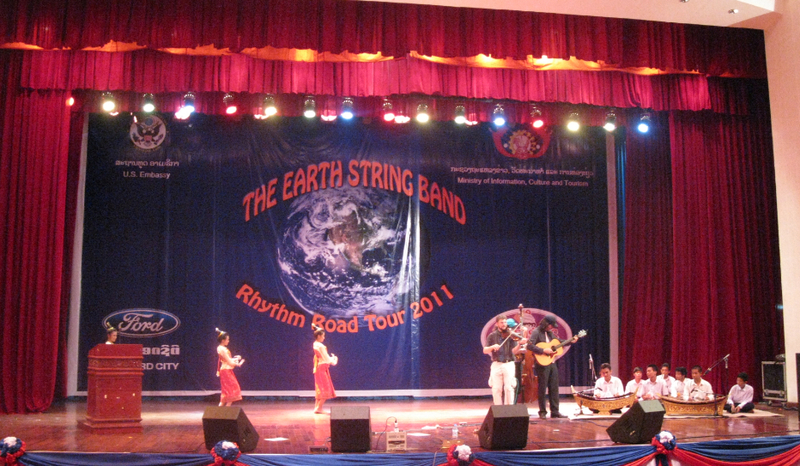 The Earth Stringband is blogging from the Rhythm Road.